couple of people just now. coffee. 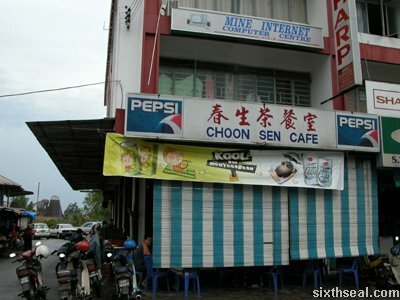 The place also has the best fried-cooked noodles (char chu mien, a Foochow dish) in Sibu. 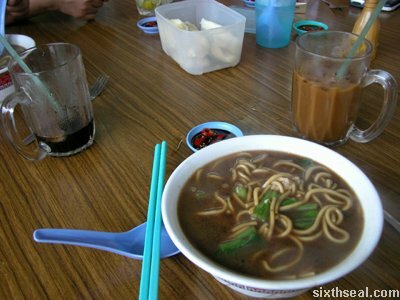 It’s noodles which are fried, and then recooked in a soup dish. 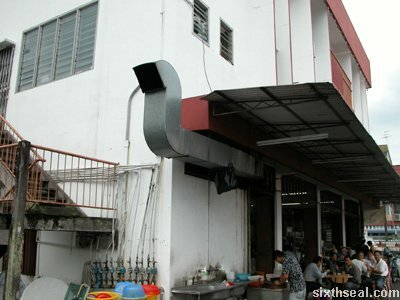 industrial sized cooking air outlet! Sungai Merah will always remain as the heart of Sibu to me.